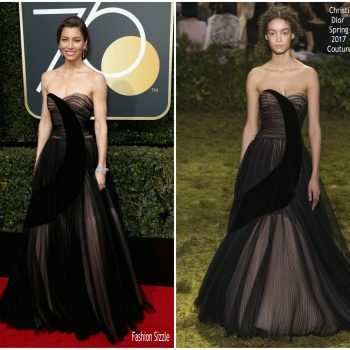 Jessica Biel, with husband Justin Timberlake, wore an acid yellow Ralph and Russo Fall 2018 Couture gown to Michael Che and Colin Jost's Emmys After Party. 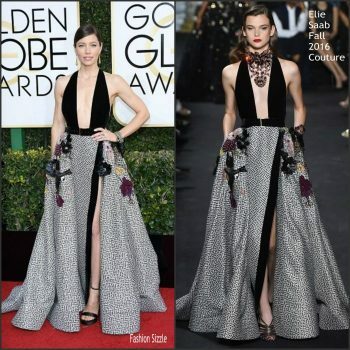 Jessica Biel was spotted attending Emmy Awards after-parties. She wore a yellow Ralph & Russo Fall 2018 Couture. 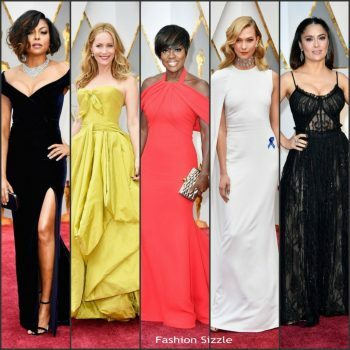 She styled her look with a Tyler Ellis white clutch, and Harry Winston jewels. 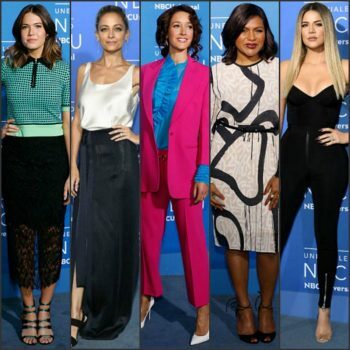 Jessica Biel was in attendance at the 2018 Emmy Awards on Monday (September 17). 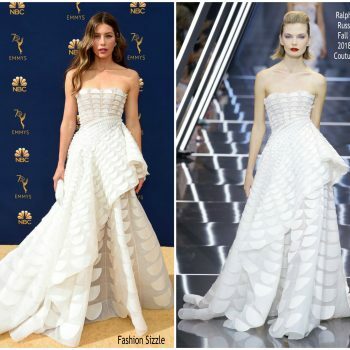 She wore a white Ralph & Russo Fall 2018 Couture gown. 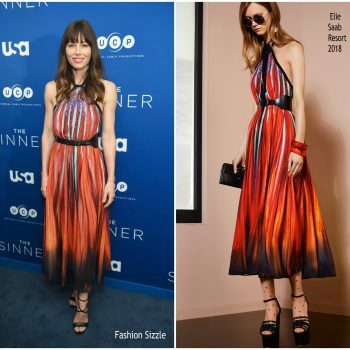 Jessica Biel attends "The Sinner" New York Screening and conversation with Jessica Biel at 92nd Street Y on August 15, 2018 in New York City. 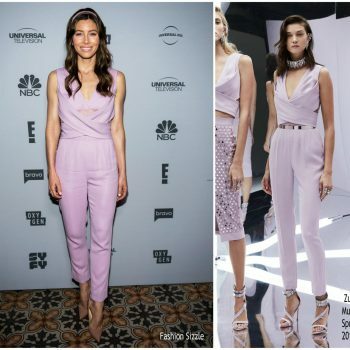 She wore a Elie Saab Resort 2019 jumpsuit. 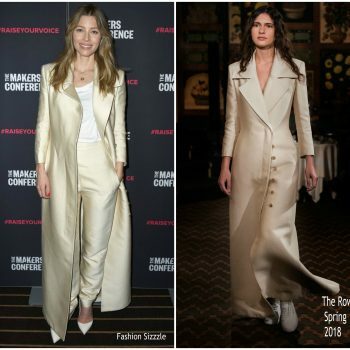 Jessica Biel attended The 2018 MAKERS Conference on Tuesday (February 6) in Los Angeles, California. She is wearing a The Row Spring 2018. design. 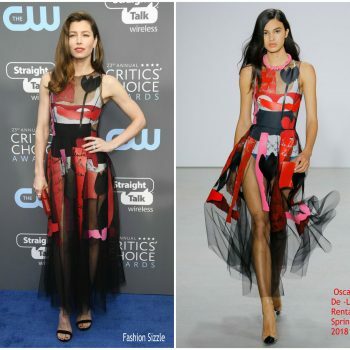 Jessica Biel was in attendance at to the 2018 Critics' Choice Awards She wore an Oscar De La Renta Spring 2018 dress . 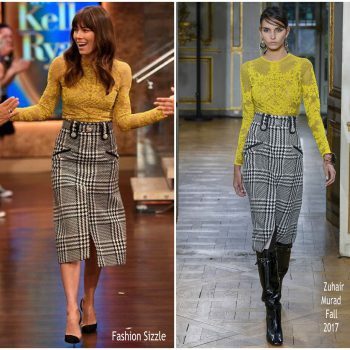 Jessica Biel made a guest appearance at Live with Kelly & Ryan’ on Friday (August 4) in New York City in She wore aa Zuhair Murad Fall 2017 design. 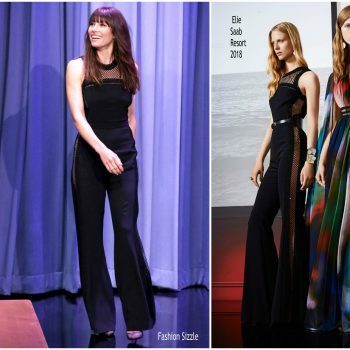 Jessica Biel made a guest appearance at The Tonight Show Starring Jimmy Fallon’ on Tuesday (July 25). She is wearing a black Elie Saab Resort 2018 jumpsuit. Jessica Biel attended the premiere screening of ‘The Sinner’ on Monday (July 31) in New York City. 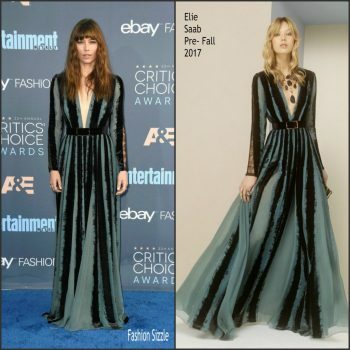 She is wearing a Elie Saab Resort 2018 dress. Jessica Biel made a guest appearance on Jimmy Kimmel Live. 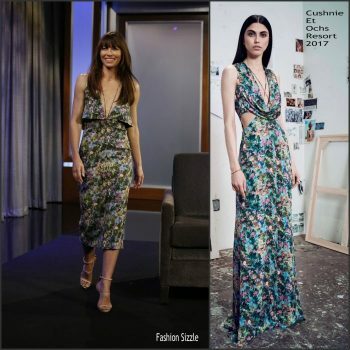 She wore a Cushnie et Ochs Resort 2017 floral dress. 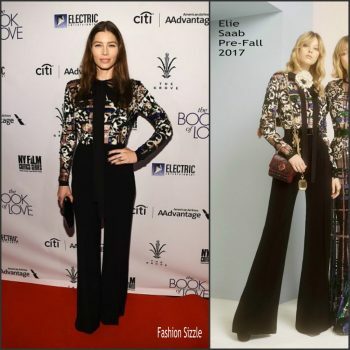 Jessica Biel attended the premiere of 'The Book of Love' yesterday evening(January 10th) at The Grove in LA She wore an Elie Saab Pre-Fall 2017 jumpsuit . 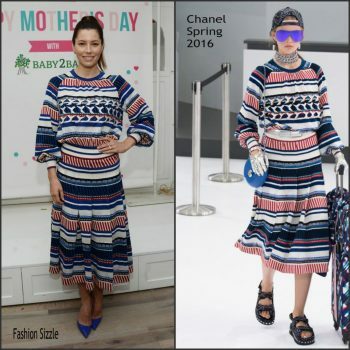 Jessica Biel attends the Baby2Baby & Tiny Prints Mother’s Day Playdate event at her restaurant Au Fudge on Wednesday (April 27) in West Hollywood, Calif.
Jessica Biel was in attendance at the Tiffany & Co. Blue Book Gala in New York City on April 15, 2016. 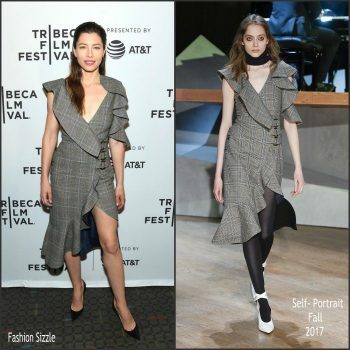 Jessica Biel attended the Devil and the Deep Blue Sea Premiere which premiered at the Tribeca Film Festival on Thursday April 14, 2016.